The writer of Ecclesiastes put it so well. (Though you may have Pete Seeger’s version, memorably sung by the Byrds in your ears) For us, in the dark northern hemisphere, it is the breaking down time of the year. The time of decay, death, mouldering and rotting – and so we come to compost. 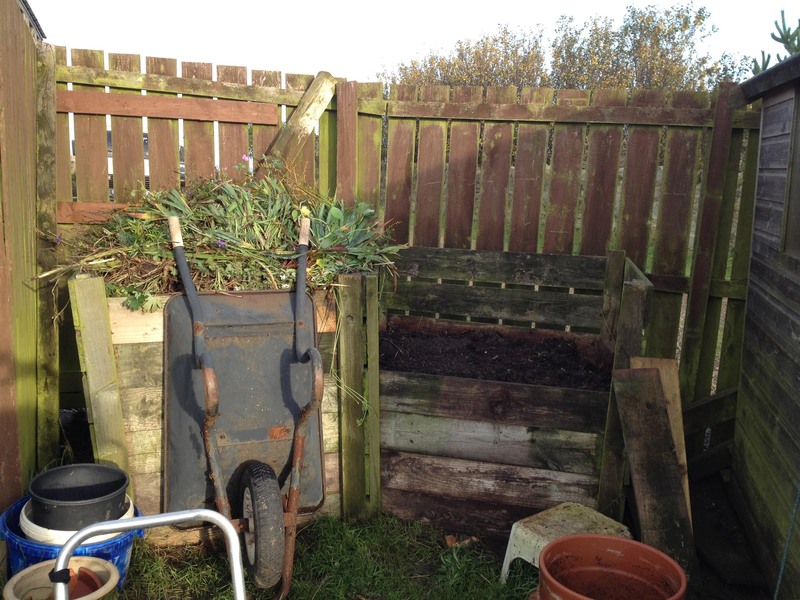 On of our first chores when we came to Seaview was to build a compost heap. 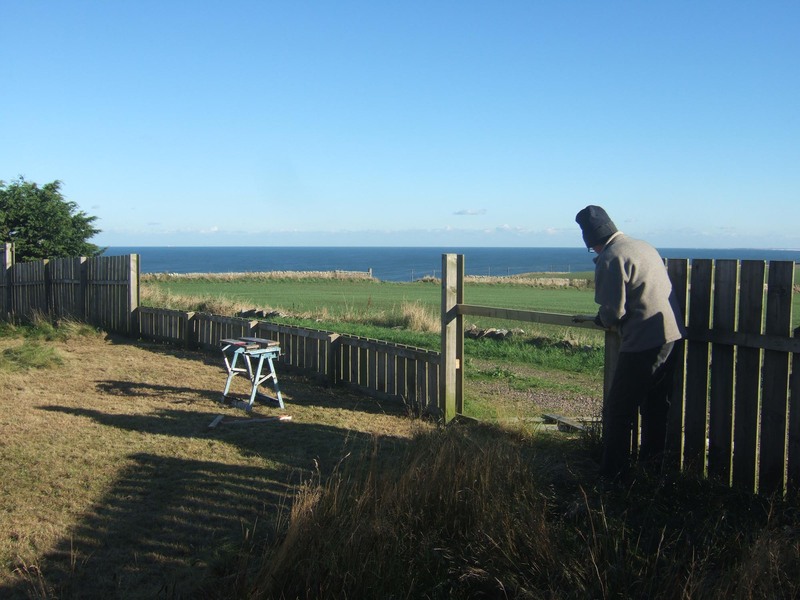 Stephen had dismantled the ridiculously high fencing so that we could finally see the sea from our house, and we had plenty of spare treated planks of wood. 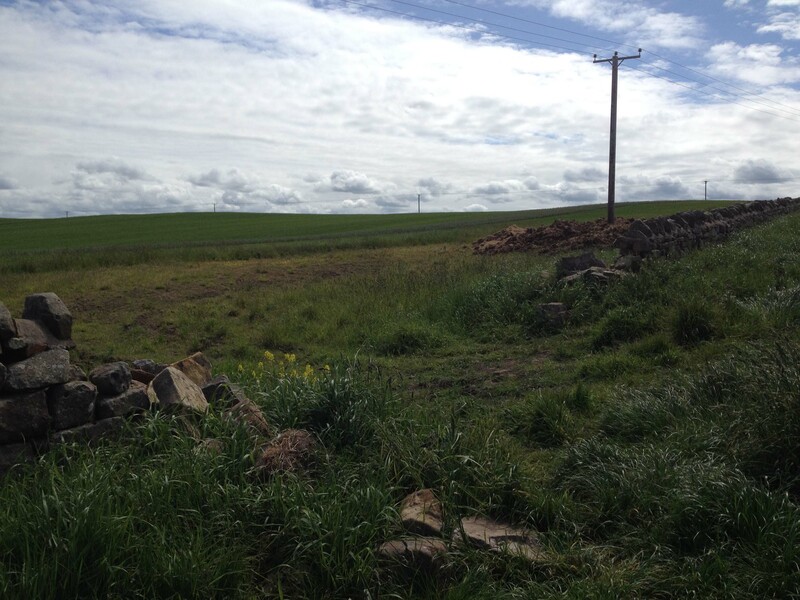 So he built two compost heaps – one beside the other. A work of genius! As we fill one heap up with fresh victuals, the other heap gently matures. Over the year, all sorts of goodies go into our compost heap. It could in many ways be said to be a labour of love. The core goodness is, of course, the green waste from the kitchen. We eat a great deal of fruit and vegetables, and all their parings go in. Eggs and anything meaty don’t – that would encourage rats. 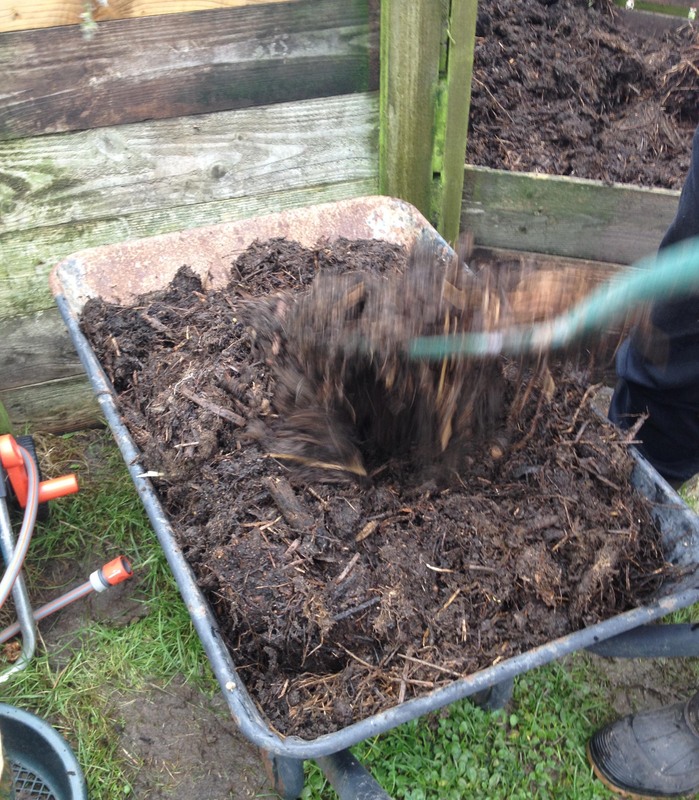 All our garden waste goes into the compost heap – bar the very woody material, which wouldn’t disintegrate quickly enough. Grass cuttings are an important element. To this we add treasures lovingly collected on our walks in the neighbourhood. Cowpats from the friendly local cows. 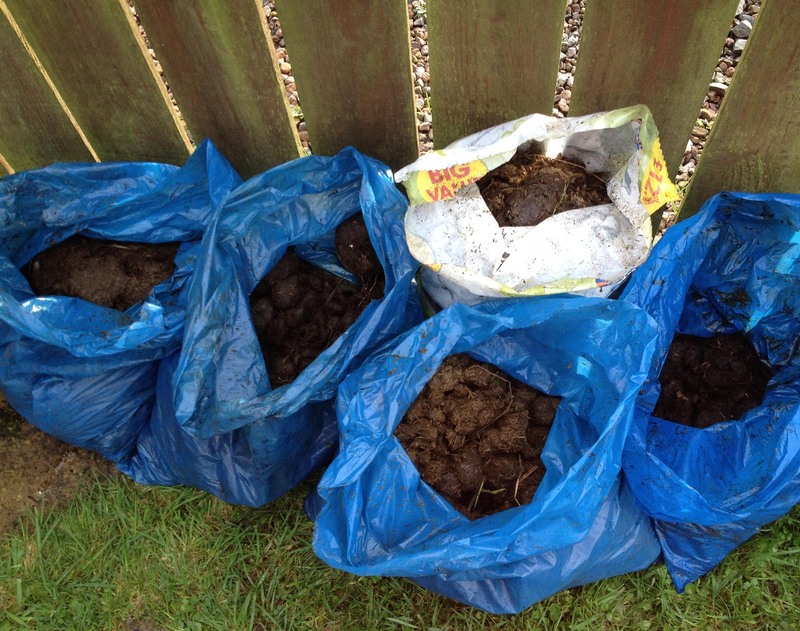 Horse manure – when we can get it! 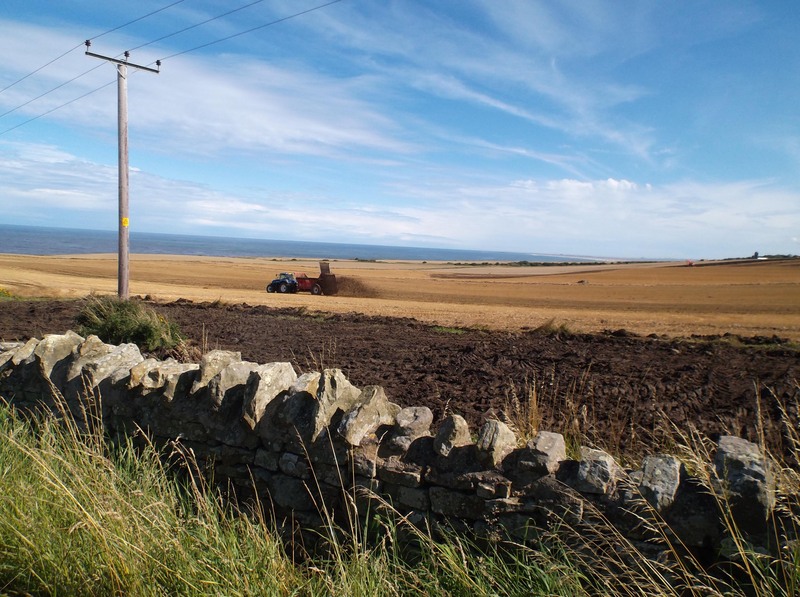 This was nicely bagged up by some wonderful folk on Holy Island – free for the taking! How very generous. Seaweed from the beach. 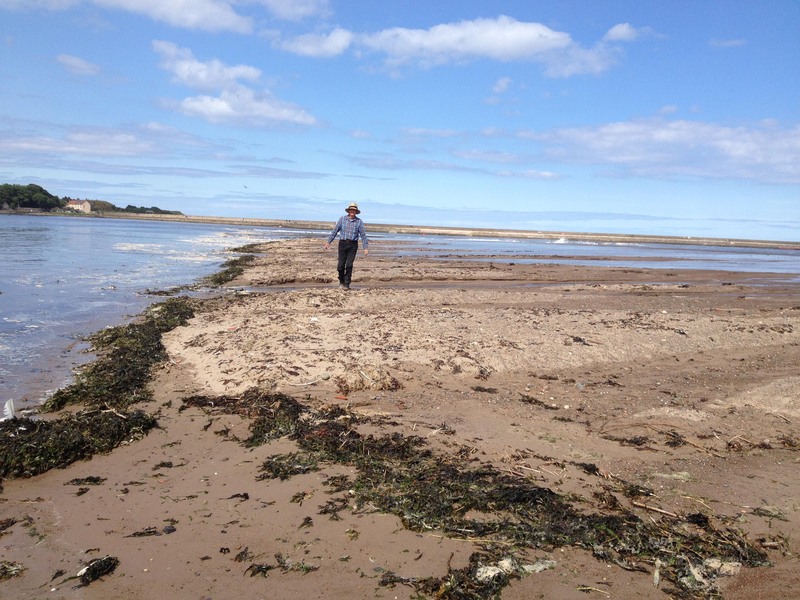 We never pick or cut seaweed – but then we don’t have to. If you wait for the right time, there will always be storms to sweep it up onto the beach. Seaweed is a really important addition to the compost heap because of the minerals and sea goodness it adds to the pile. Sometimes the sea gives other treasures for our compost heap. One winter, after terrible storms, huge piles of beech leaves came down the Tweed. So large were these piles on the beach that they dwarfed Stephen. We weren’t alone to appreciate these beech gifts – lots of little bugs and insects to feed hungry birds too. 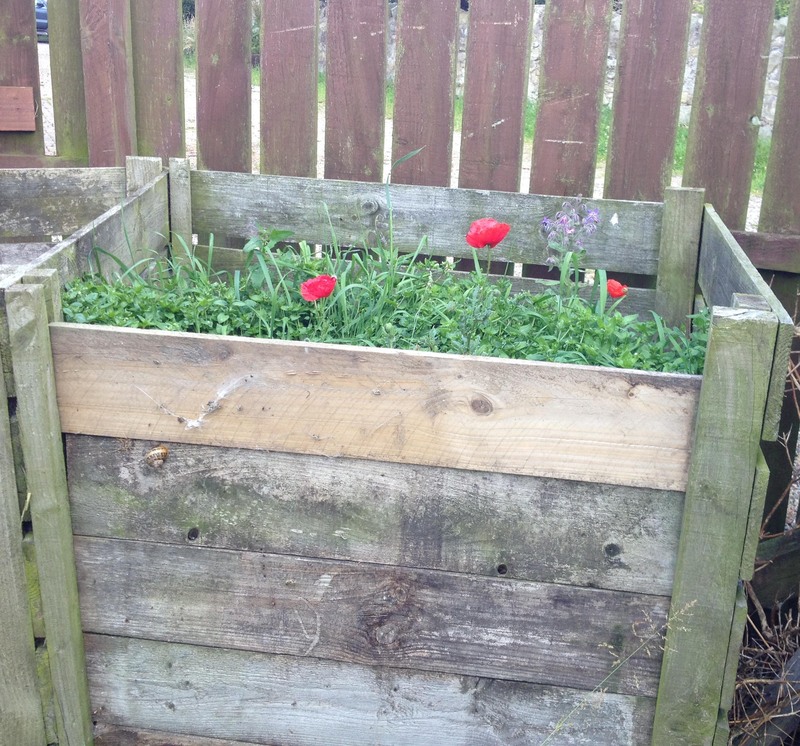 As we add all these good things to the “operational” compost heap, the other compost heap – the maturing one – is just so good that plants (like these poppies) start to grow. This is an indication of the biggest failing with our compost heap: it never gets warm enough to kill the seeds and weedlings. Come winter, come this time of year, we are at the turning point with our compost heaps. One is very full indeed – Stephen has to jump on it at times to compress all the garden waste that has been piled up after the autumn clearances. And the other pile is rich, matured – and compressed. It’s time to spread the goodness round and about. 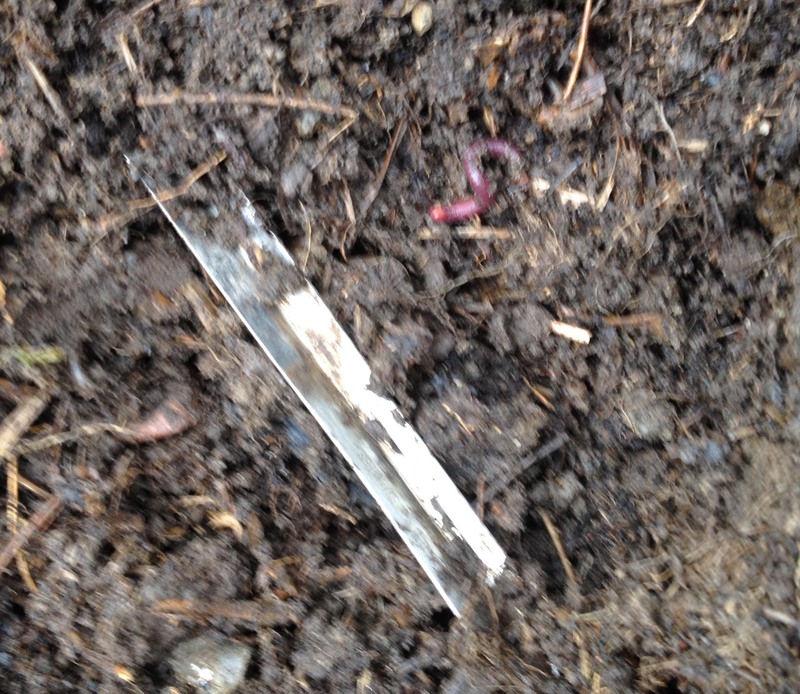 All sorts of treasures come to light … that’s the blade of the paring knife that went missing last year! And there are worms – a sign of a healthy heap because, of course, it is they who have been eating our composting greenery and vegetables and excreting them as loam. Time to spread goodness around. 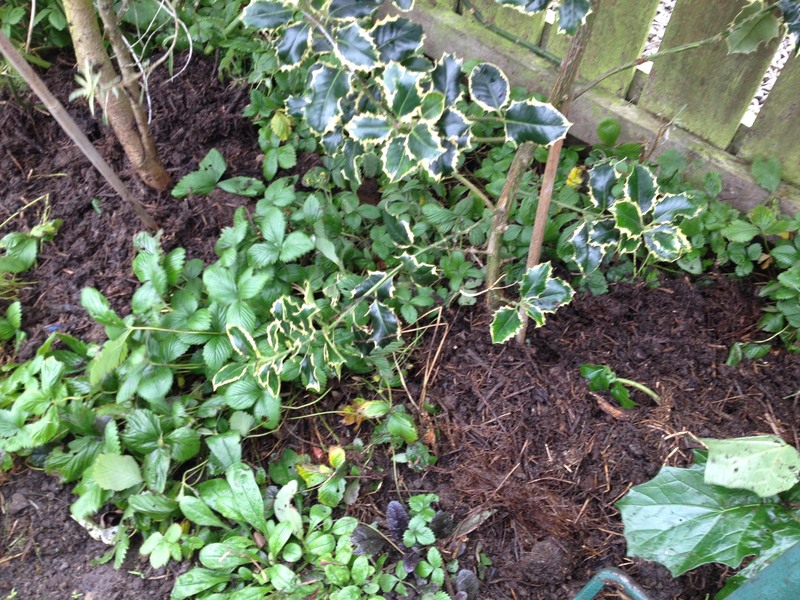 Great mulchy piles around shrubs … And I do so love my little borders tidily put to bed like this! As we compost and reuse the goodness from garden, house and locality, we are part of a cycle that others follow too. Last winter the farmer put great piles of cow dung (cleared out from the cattle’s indoor habitation) in the field up the hill from us. By the end of the year there was a sizeable heap. 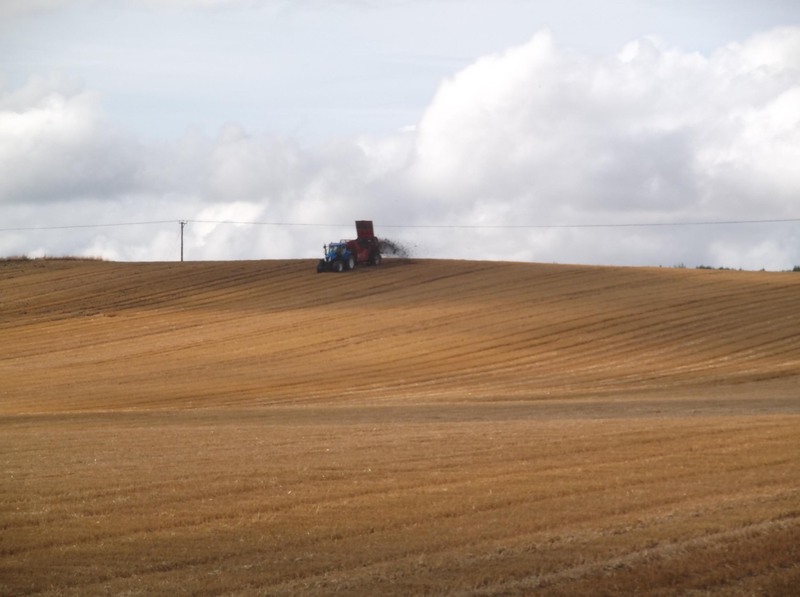 After harvest, it was loaded up onto tractors … and spread on the fields … Compost heaps have been part of my life for as long as I can remember. 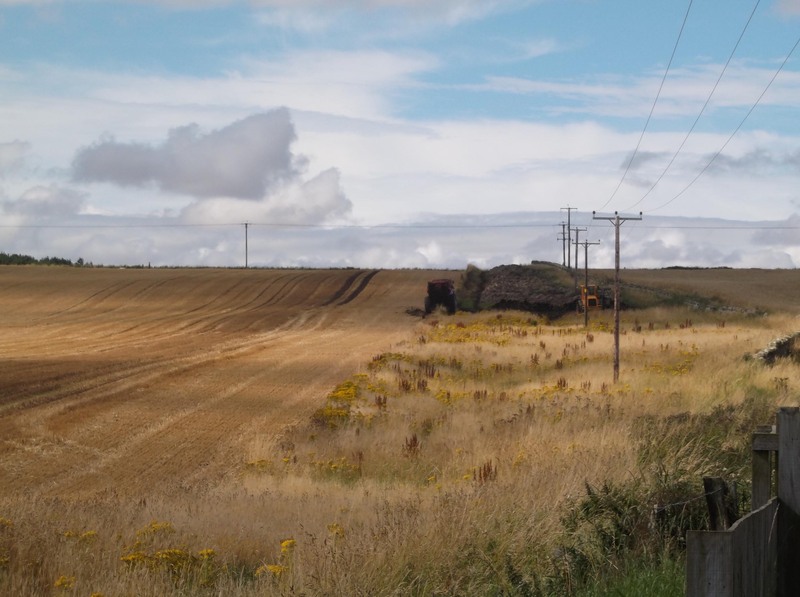 I can still vividly remember the grass-cutting smell of my grandmother’s heap in her Oxfordshire garden – probably because the heap sat under a large tree which we children liked to climb and hide in. 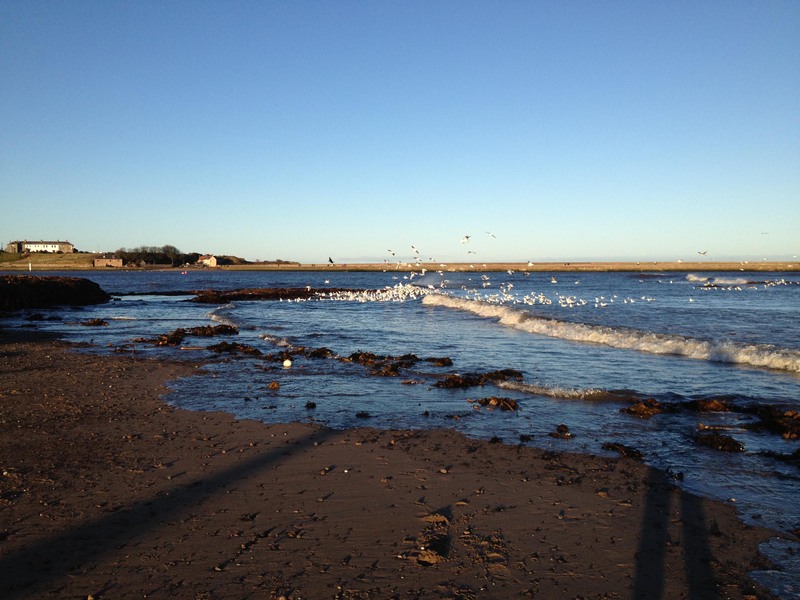 And my five-year old son – on his first school trip to the beach at Exmouth – coming back with a puzzled teacher and a determined expression on his face as he lugged home some grubby, sandy carrier bags full of seaweed for my compost heap! We are not the only ones to love the compost heap here at Seaview – our neighbour’s cat is particularly fond of this spot too. 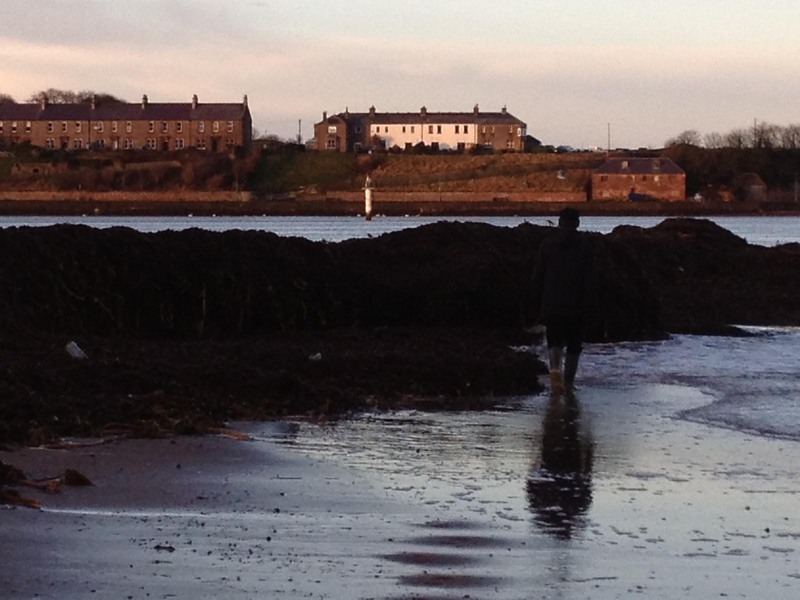 Love the vision of your son on a school trip collecting seaweed. We don’t put roots of weeds in the compost heap. Have you tried using a n accelerator to get the heat? 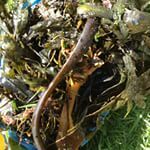 Yes – that seaweed my little lad brought me was one of the best presents I’ve ever had! 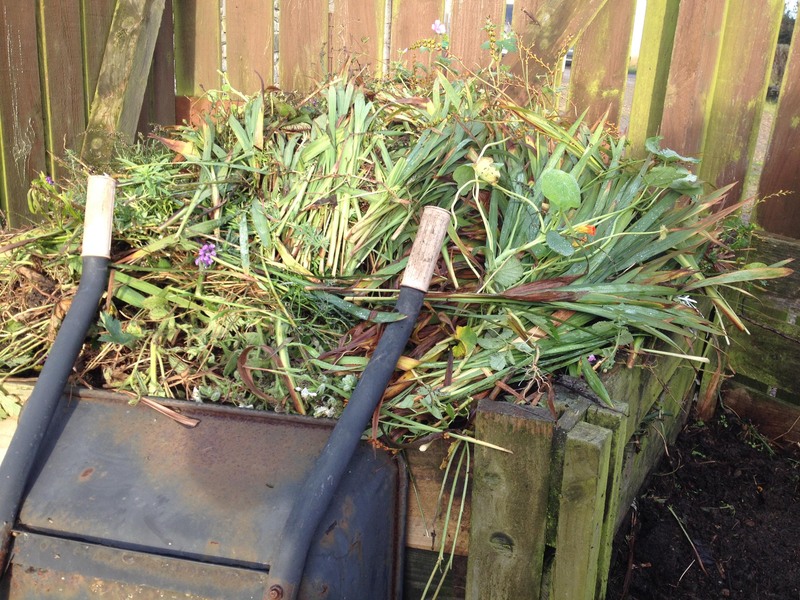 Interesting to hear what you put on your compost heap – I don’t put any bindweed on at all but all other weed roots do disintegrate. I have tried accelerators – but no noticeable improvement. I’m very chuffed to be getting comments on a post that I thought people would find boring – thank you!! Golly – a post on an activity so dear to my heart. I love compost. Seattle Tilth, a local non-profit that encourages gardening and related stuff, actually has “Master Composter” class. I live in a great part of the world for this! At our house though, we don’t actually have a compost pile, because I have chicken coop that I use the deep bedding method with, tossing in scraps, browns, greens etc., and letting the chickens pick over it and stir it around. Add their poop, and some water, and the soil bacteria do their thing. Twice a year I clear it out, getting two huge wheelbarrows full of lovely dark composted matter that I spread around the garden. I feel the same way you do about the sight of a row of plants tucked in by a thick layer of nutritional, insulating goodness, and knowing that it was created by renewable, natural rotting stuff! We live by the sea as well. Seaweed is a major basis for our compost pile. Also mountains of mulched leaves left after a storm cover the beaches at low tide. Ash from the fire, chicken manure–all give great meaning to the phrase “dust to dust.” Fine post. Fascinating to see your amazing pics of your Alaskan life and think of you doing what we do here! Yes – I agree – dust to dust – we are all part of the great recycle. A truly seasonal post! I had not reflected upon the ritual of composting before, thank you. Our composting has transformed since getting chickens. We always struggled to get enough manure and brown, dry stuff before. Now, once a week, a lovely layer of chicken poo and straw from the roost box goes over a week of veggie scraps the girls don’t eat. All our left overs from cooking go straight to the girls to make into more poo and eggs. The compost and I are in heaven with the circularly of things. Yes, I agree! 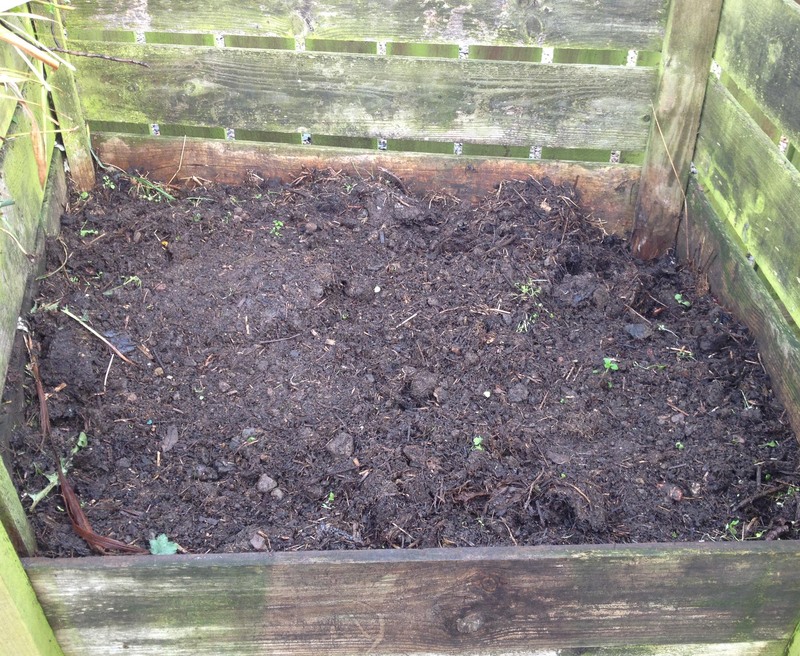 The circularity of compost is just heavenly! I have to admit to feeling more twinges of envy of that lovely chicken poo…. Hello! I am so late to this (com)post because we had an epic windstorm, 70-80 MPH winds that lasted 12 hours!! No power and some folk are still out a week later and it is getting colder! but, compost…delicious compost with worms hahaha I keep all my scraps for the chickens next door and I have friends who have a massive one. we did have one when I lived in CA but our growing season is short and I am short on sun here so i leave it to others. Nice to see plants bedded sown for the winter. Seaweed, very ingenious. Next Next post: Yet more GiveWraps!